Hello there! 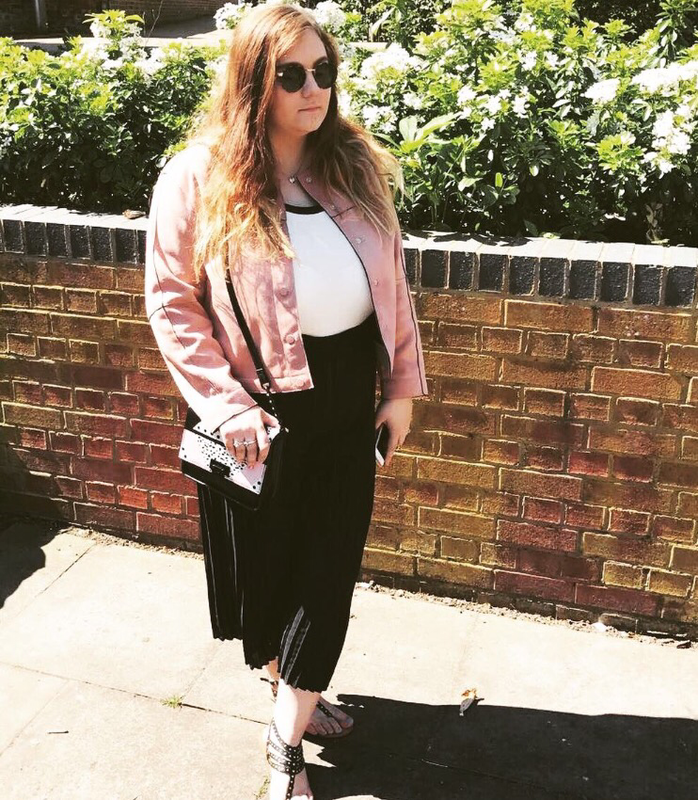 A little different today, a fashion post, ooooh, I haven’t written one of those for a while! 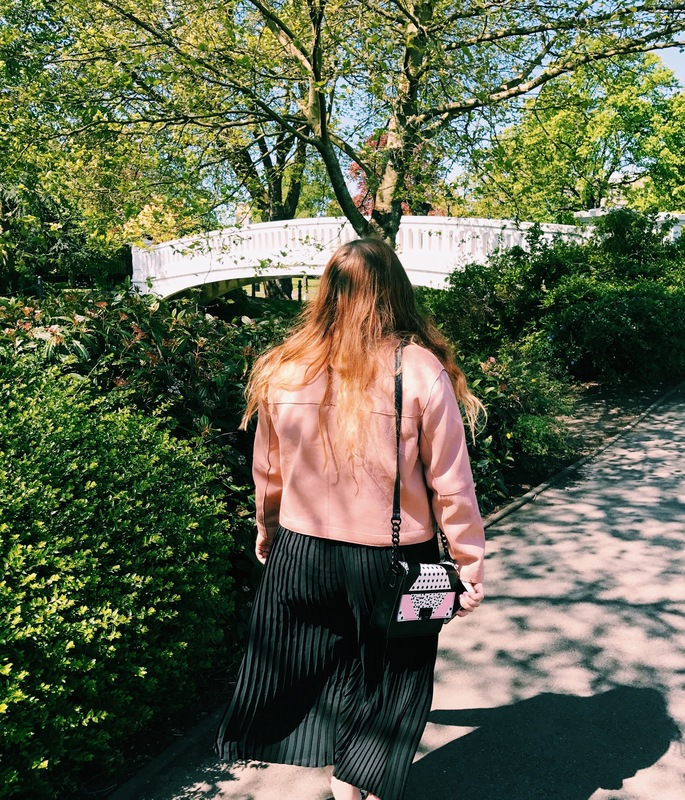 But, I just loved my outfit this weekend so wanted to write about it, simple. If I’m honest, I did want to do a full look book as I loved doing my last one, but I simply haven’t had the time with exams and deadlines, but I hope you enjoy this post anyway! As I was travelling on the train, I could not take much luggage with me this weekend. Therefore, I had the task of creating a versatile look for day and night time. For the day, I style the look as seen below. For me, the real stand out pieces in this outfit were the bag and the jacket. The jacket was a recent buy from Zara. 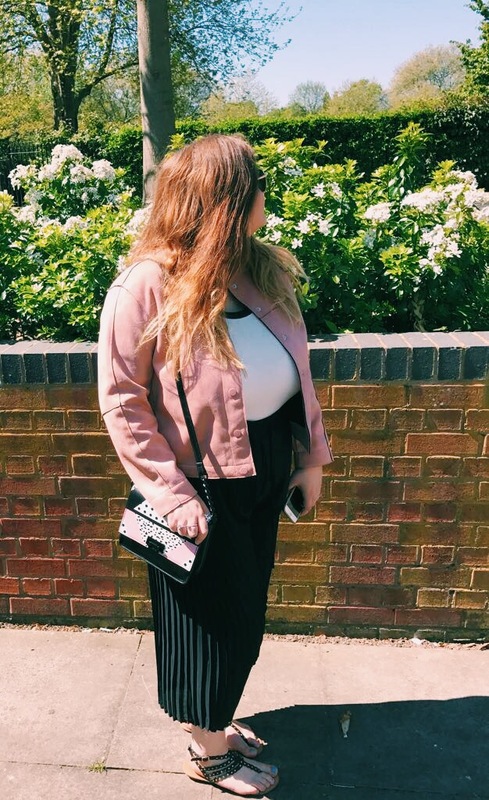 It’s faux suede in the colour dusty pink and I just couldn’t love it any more if I tried! It’s definitely going to be a staple piece for me this SS17. The bag was another recent buy, and a kind of impulse buy. It’s actually from Primark and from the reduced section meaning it only cost me £3! It’s a great quality, stand out bag which I feel really brings all of this outfit together. The trousers, again, are a staple of this look for me! I just love how comfy yet classy they are, and I am fully aboard the trouser trend this season. For the daytime, I paired these staples with some simple sandals, sunglasses and a colourblock black and white body for that perfect SS17 vibe. I didn’t actually get any pictures of the night time look (oops) but I am hoping I can describe it to do it justice! I kept the jacket and the trousers, but I opted for a metallic clutch bag to accompany the outfit. I also switched up the body to a black, deep plunge style to give it that extra glam feel. Paired with a black choker and some metallic shoes, I felt simply amazing in this outfit and shall definitely be wearing it again! And that’s the end of this post. Hope you loved it, and the outfit, and thanks for reading! Very Cute!! Love that pleated skirt!! Babe I LOVE this look on you!! I adore that skirt and jacket combo!! Really loving pink right now and though trousers are so in, I want a pair for myself but I’m worried it won’t suit me! My favourite part is definitely the trousers, so on trend! The bag is actually so pretty! It’s on my to buy list next time I’m in Primark! I am IN LOVE with that jacket, Hayley! 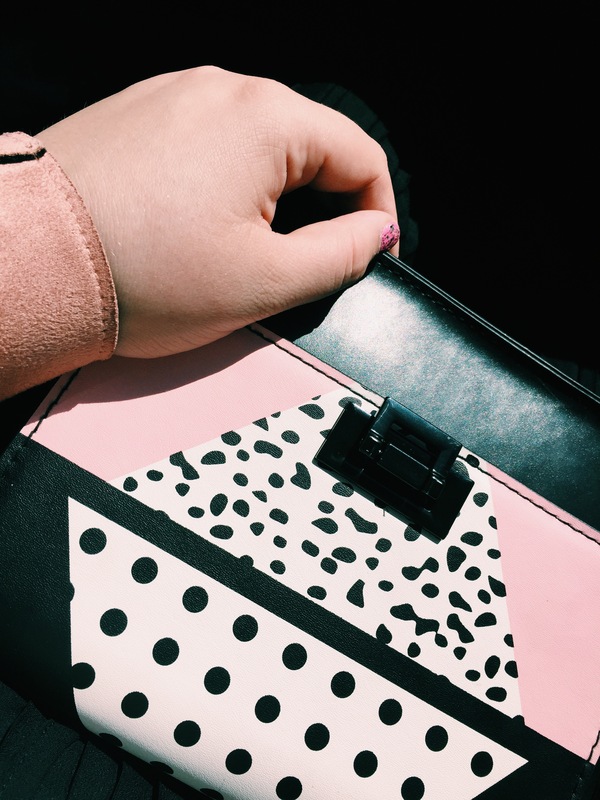 Everything about your day outfit worked together so well, the bag was an absolute steal too! The night outfit sounds fab, I’m not surprised you felt so amazing in it! Would love to read more fashion posts from you in future!